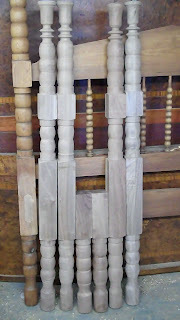 This is the second post in a recent series concerning the restoration and conversion of a Walnut Victorian Spool bed. 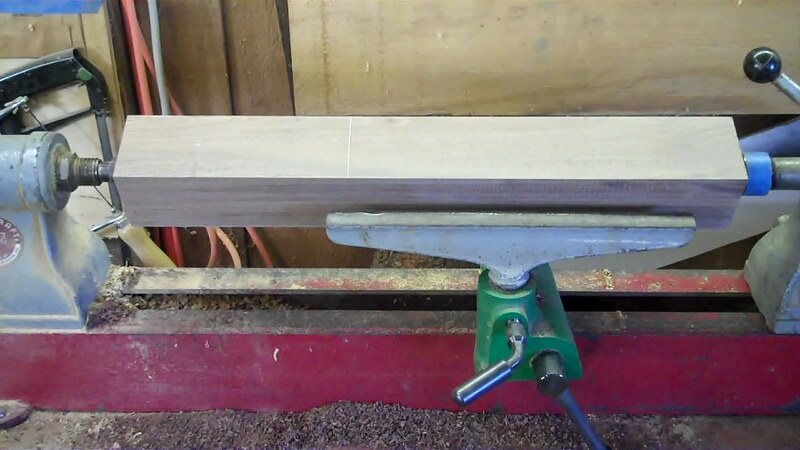 The first post details the history of this style of bed and the basic idea of converting this bed into a queen with the use of additional posts,etc.This post concerns the fabrication of the bed posts. 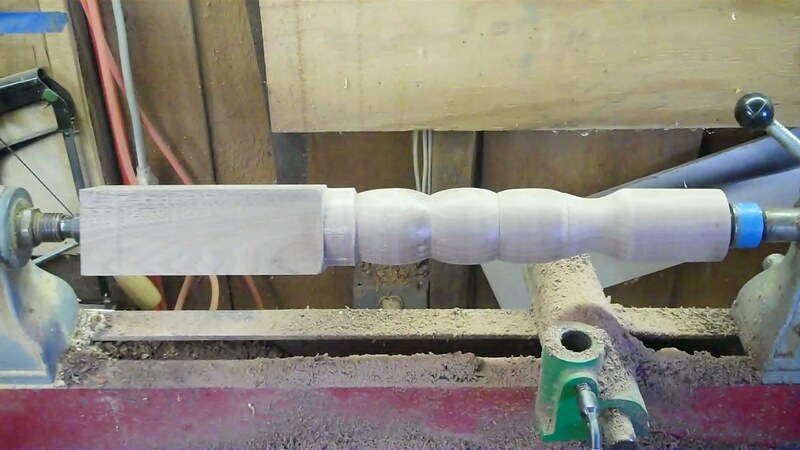 This is done by turning the posts on a Lathe between centers. 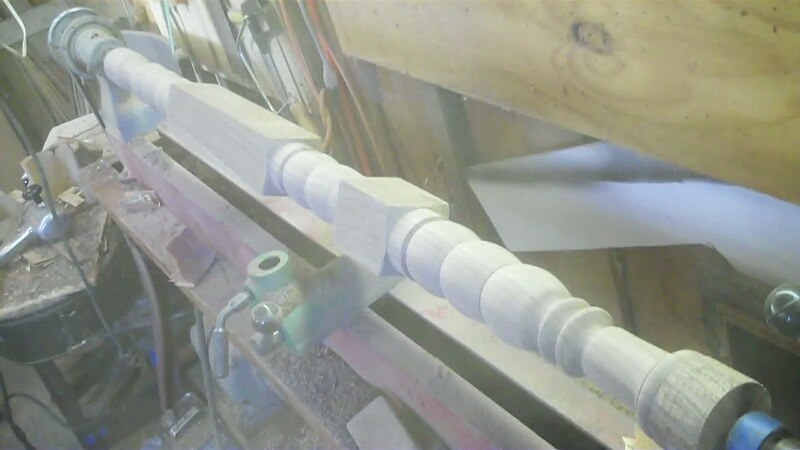 This is also referred to as spindle turning because it is the same process used to turn chair spindles, the only difference is that in this case the turnings are 50 inches long and 2 3/4 inches in diameter! 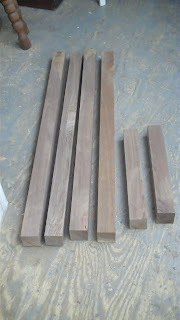 The first step in the process is to prepare four boards so that they are square blanks. These are commonly referred to as Billets. 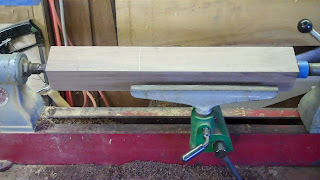 I also prepared two additional billets that were shorter in length that will end up being the supports for under the mattress. 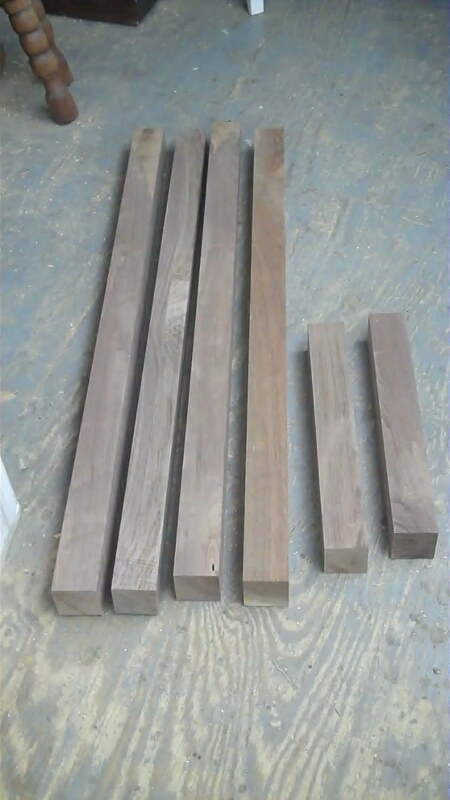 Below is a photo of the six billets ready for turning. To start of with, I turned the shorter sections to get the feel of the project. The design for these legs was taken from the original posts below the lowest square section. These will be attached to sheets of ply wood which will support the mattress instead of a box spring. 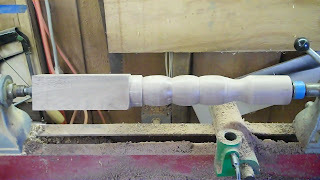 Below is a photo of the billet mounted between centers on the lathe. This photo shows the same piece after the turning was completed. After the two short legs were fabricated, I moved on to the larger posts. 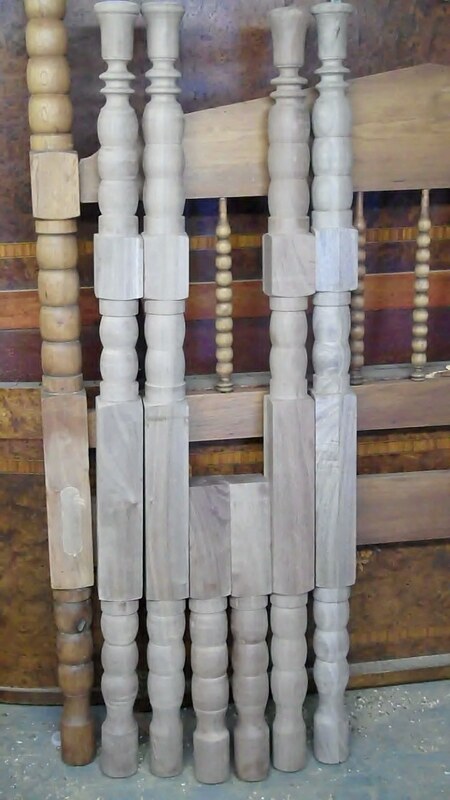 The design for these was taken from the original bed posts with the exception that some of the spools were removed to accommodate a shorter height. below is a photo of one of the billets mounted on the lathe. 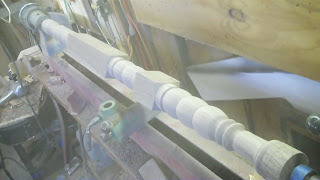 Here is the same piece after the turning was completed. This close up shows one of the spools turned next to an unfinished spool. 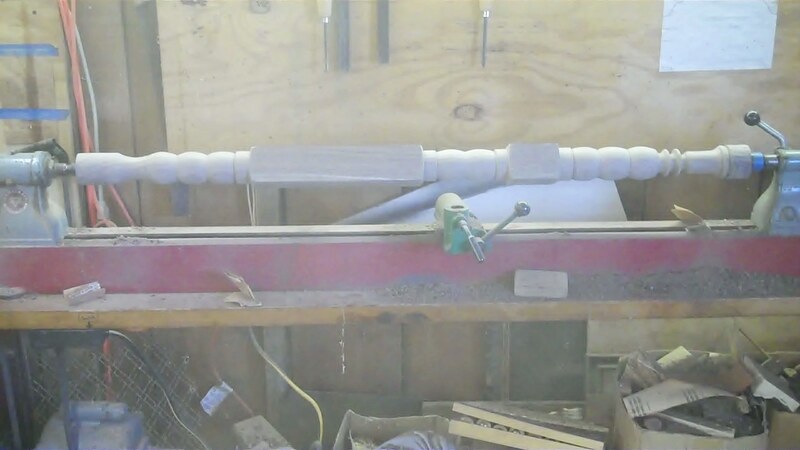 Here is another view of the completed turning. 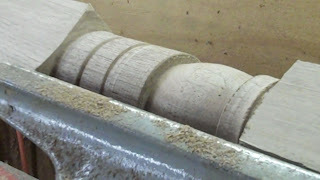 This last photo shows the completed turnings next to an original post. 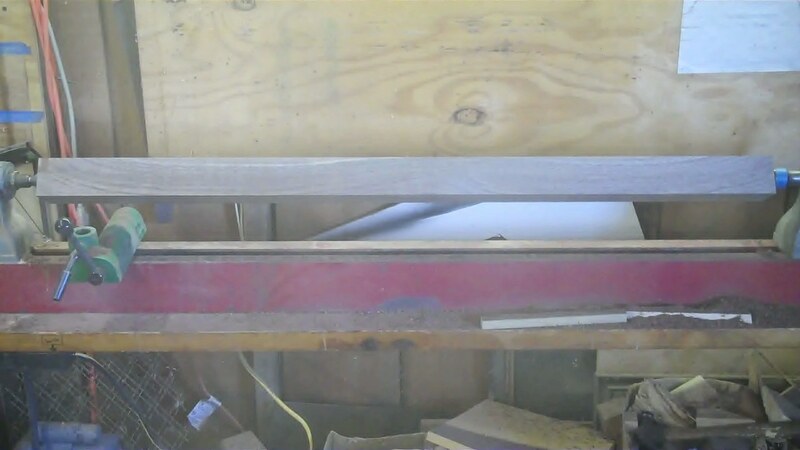 The next few posts will show the fabrication of the rails and the the construction of the bed.